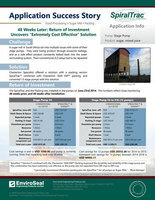 Literature | EnviroSeal Engineering Products Ltd.
Get the information you need! Here you can find our Brochures, Order Forms, Installation Instructions, Success Stories and many more. Use the search form to filter and narrow your results by keyword, language and document type. Search tip: Filter your search results by keyword. For example, to find all Success Stories featuring a Chesterton 442 Split Seal, set the document type to "Success Story" and search the keyword "442". Gold mine, concentrate thickeners, Muyuan slurry pumps. 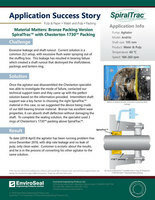 Chesterton SuperSet with Version P SpiralTrac and 1730 Mill Pack packing. 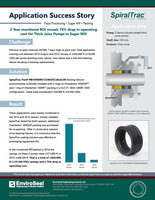 Choosing the right SpiralTrac™ material can be essential to the success of your sealing solution. 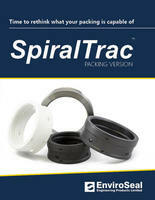 SpiralTrac™ Adaptor Part Number explanation. All the info you need to decipher what your Adaptor part number means. 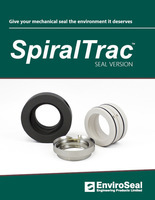 This video shows how a SpiralTrac active throat bushing works in a seal cavity. 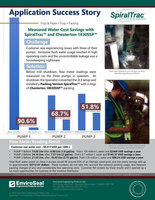 Split SpiralTrac™ devices made of bearing grade MGE and BGE materials have great shaft support capabilities and are usually utilized in pumps where shaft movement or deflection can occur. These materials are however very brittle by nature, so installing and handling them requires care and caution. 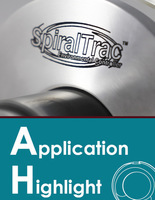 This quick video demonstrates the steps required to handle these Spiraltrac devices.